18 April 2016 - CELEBRATING 10 YEARS OF THE THINK BRICK AWARDS. THINK INTERNATIONAL AWARDS JURY. Think Brick Australia is pleased to announce the Think Brick Awards Jury for 2016, who will be judging the 10th edition of Australia’s richest design awards. 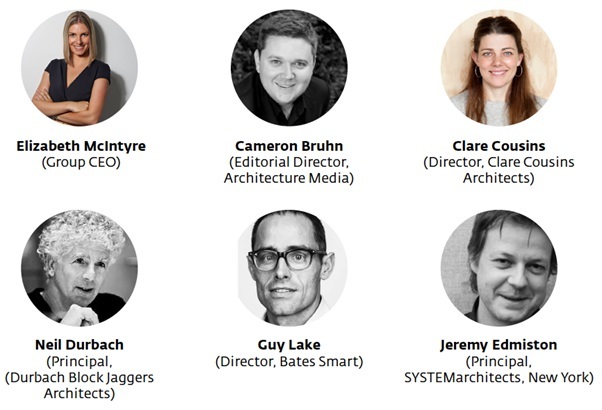 Consistent with previous years, the 2016 Think Brick Awards Jury consists of a distinguished panel of both Australian and international-based professionals who are accomplished in the architectural field. “We have been receiving great feedback from Think Brick Awards participants on the quality and calibre of the Awards each year, because of the international nature of the judging panel and prestige associated with having their work reviewed by a illustrious panel. It is a great acknowledgement to the winners that their work is recognised by eminent peers, and makes winning the Think Brick Awards so much more worthwhile,” said Ms McIntyre. Awards entries will close on 5th May 2016, and judging will take place at the Venice Biennale on 24th May 2016. Winners will be announced at the Think Brick Awards Gala Dinner on 5th August 2016.